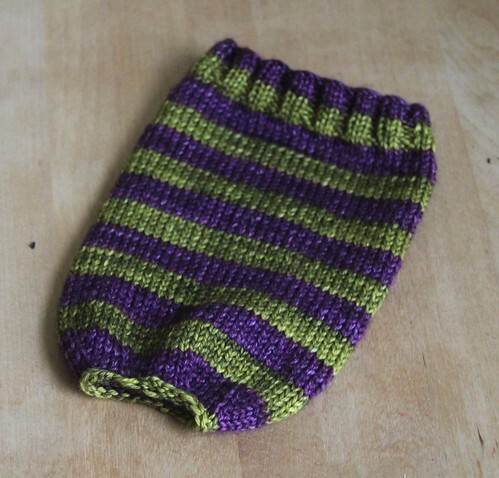 Last week I released my first paid pattern on Ravelry, Snug as a Mug, for a cozy for a Starbucks tumbler. Of course (Murphy’s Law), as soon as I released the pattern, the Starbucks’ store page for the Stainless Steel Create Your Own Tumbler went from “out of stock” to totally gone. I had quite a few people ask me what might be a good substitute. I ordered a few tumblers from Amazon and the one I liked the best was the Make It Your Own (MIYO) 16oz tumbler. 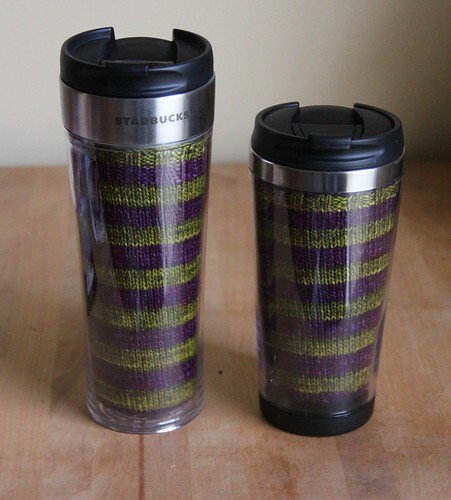 This tumbler is a bit shorter and wider than the Starbucks tumbler, and the bottom piece actually attaches to the stainless steel tumbler, so the cozy needs a hole in the bottom to accommodate. I’ve re-released the pattern (and sent updates to anyone who bought it before now) and included instructions for how to knit cozies for both tumblers. And again, if you would rather #treatyoself, there are a few more in the shop! Previous The Corner of Knit & Tea: Episode 118, Happy New Year!